New Zealand Police arrested 4 people after mass shootings at two mosques in Christchurch. One of the alleged shooters livestreamed part of the attack. 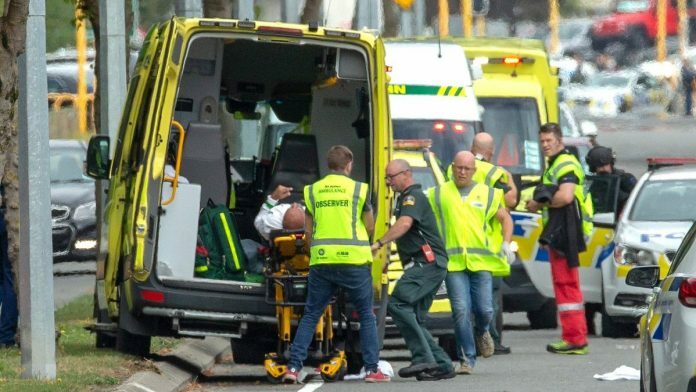 New Delhi: Nine Indians are believed to be missing after the shootings of two mosques in Christchurch, New Zealand, that has killed at least 49 people. “As per updates received from multiple sources, there are 9 missing persons of Indian nationality/ origin. Official confirmation still awaited. Huge crime against humanity. Our prayers with their families,” Sanjiv Kohli, High Commissioner of India to New Zealand said in a tweet. The external affairs ministry said it is still ascertaining the details of Indian nationals that have fallen victim to the massacre that occurred Friday morning. “Our Mission is in touch with local authorities to ascertain more details. It is a sensitive matter and therefore we can’t give confirmed numbers/names till we are absolutely certain,” said MEA spokesperson Raveesh Kumar. Mass shootings occurred at two mosques full of worshippers attending Friday prayers. Authorities charged one person, detained three others and defused explosive devices in what appeared to be a carefully planned racist attack. Australian Prime Minister Scott Morrison confirmed that one of the gunmen was an Australian citizen who was “an extremist, right-wing, violent terrorist”.